– We are very pleased with the recruitment of Tom, who has extensive experience within the Group, who has grown vigorously in recent years. 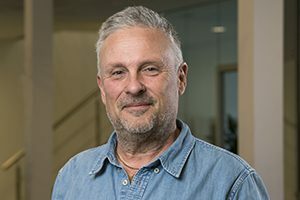 With Tom we get a strong force with experience of leadership with a focus on the customer and collaboration that should take Linotol to further levels, says Örjan Hansson, Chairman of the Board Linotol AB. Tom Istgren has been the CEO of several companies since 2001, including the electricity trading company Bixia. Tom is 50 years old and is a trained engineer and economist. 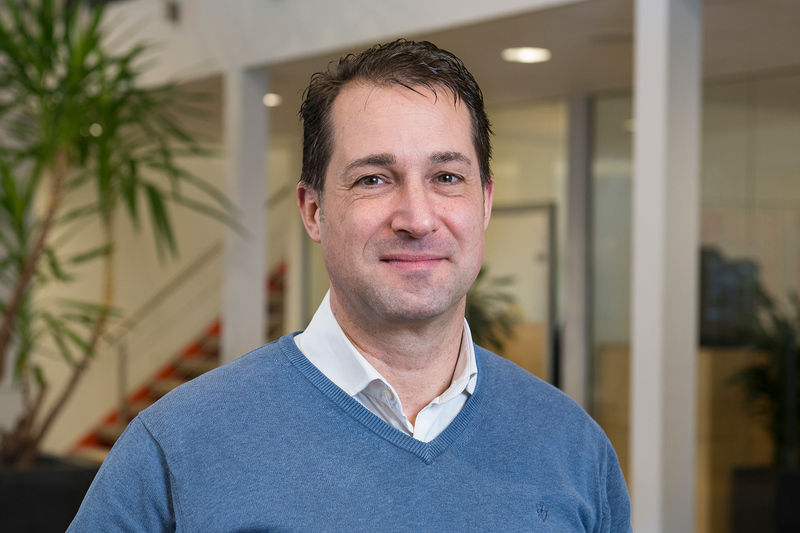 – I am very happy and flattered to have the task of continuing to build Linotol and look forward to developing the business that former CEO Michael Larsson has built up. Together with our employees, we will set up a strategy that creates the conditions for innovative and sustainable solutions and a continued profitable growth in the Nordic market, says Tom Istgren. 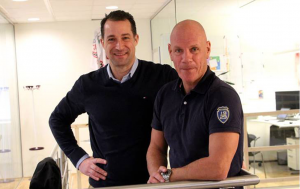 Former CEO Michael Larsson succeeds Örjan Hansson as Linotol AB’s Chairman of the Board from 1 March. Örjan Hansson will be responsible for ownership issues within the Group. Tom Istgren will take over as CEO of Linotol AB on March 1. Linotol delivers floor solutions – for commercial, public and industrial use as well as for larger housing projects. It includes new production, repair and maintenance of floors. Linotol operates in Sweden, Denmark, Norway and has offices in Norrköping, Stockholm, Gothenburg, Malmö and Middelfart, Denmark. 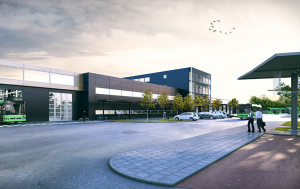 The company is the only operator in Scandinavia that works with the whole range of solutions, from floor construction to all types of surface coatings. Linotol has seven business areas: Concrete flooring & structures, Indoor parking, Design flooring, Seamless flooring, Tiled flooring, Flooring maintenance and Entrance zones. 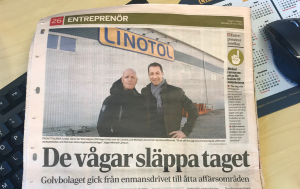 Linotol employs approximately 180 people and expects to sell 550 million SEK in 2018. Reportage about Linotol – a young old 90 year old! Denna webbplats använder Cookies. Läs mer.